Princess Lolly Costume from Candyland! 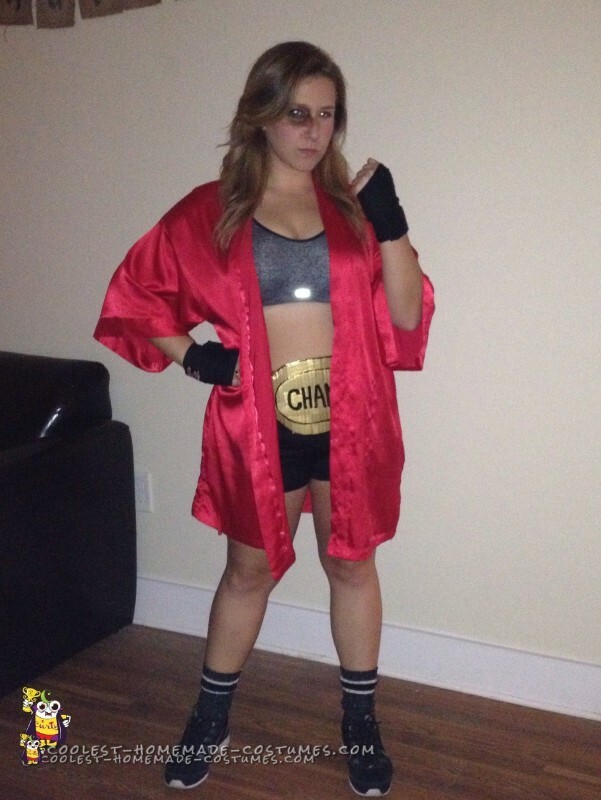 This was a KNOCKOUT fighter/MMA/boxer costume, literally! I went to visit my friends for Halloween last minute and had no idea what I was going to dress up as. I didn’t want to do the cliche cat costume or nurse that every always sees at college parties so instead I decided to think out of the box. I’ve always loved doing costume makeup so I thought I would be pretty awesome if I gave myself a black eye (not literally of course). 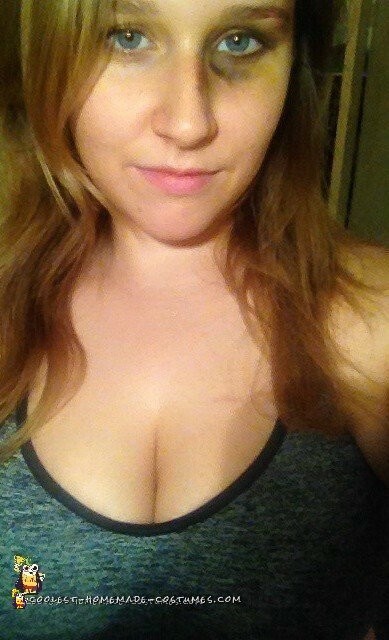 I started messing around with my make up and did not expect it to come out so realistic. I sent a photo of my swollen eye to my friends and told them I got into a fight at the grocery store and they actually believed me! HA! My guy friends freaked out and got angry at me thinking that someone had actually punched me in the face… they were about to call the cops! 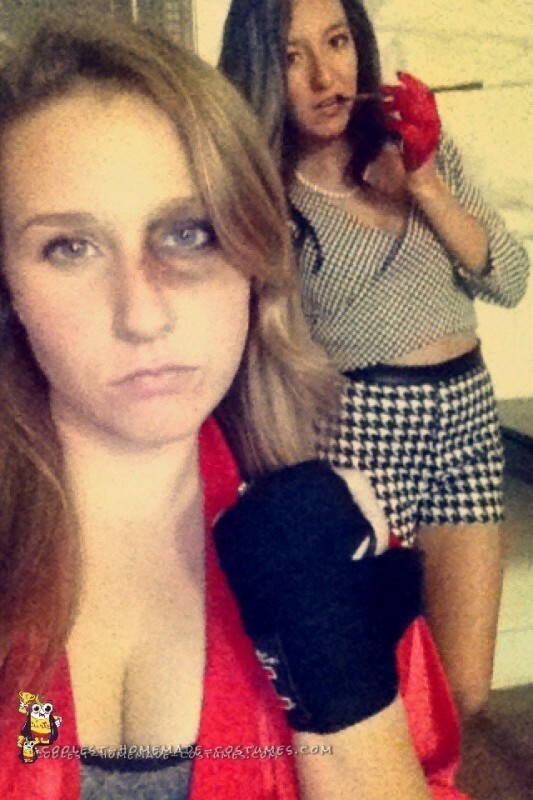 So after telling them the truth, I came up with the idea of replicating the black eye for Halloween night and making myself a female fighter. There weren’t many DIY costumes that I could find on this so I did my own interpretation. I used black spandex shorts, a sports bra, sneakers, long socks, and a red silk robe that I had all already owned. I then thought that I needed some hand wraps to make myself look like I was ready to take on my opponent so I bought some MMA wraps for about only $8 at Academy. I also wanted everyone to know that even though I had a black eye, that I was the winner of my fight so I crafted a Champion gold belt out of carboard, gold duct tape, and a sharpie. 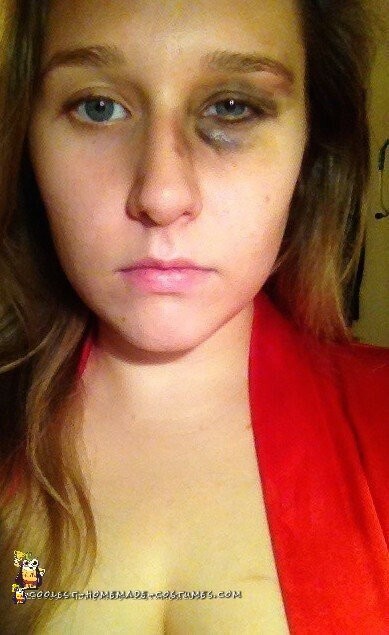 Lastly, I had to give myself a couple of bruises with multiple colors of eyeshadow and eyeliners. 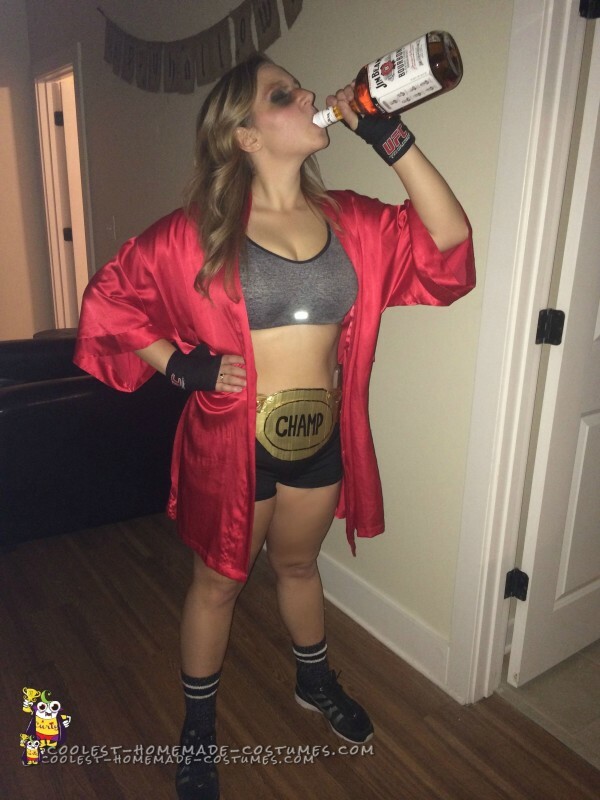 It was a lot of fun getting this boxer costume together and I only spent around $11 in total for everything I needed! And of course the reactions I recieved that night were priceless! People actually thought I had been punched in the face and they were ready to fight me!! Haha. 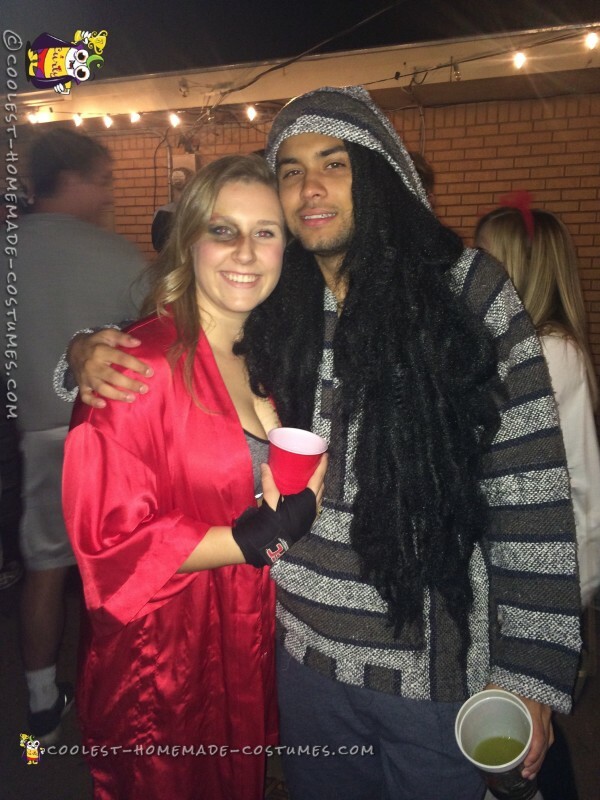 Overall a great and easy costume with a fun experience!